Creepin Along: Blog Hop Candy! Hope you enjoy the hop! Please leave a comment before midnight Monday to be entered in the random drawing. You do need to write out your email address to be eligible. No other rules!!! Great candy, thanks for the chance! So cute! Thanks for a chance to win! OH my goodness, just look at all those cute pooches! Great stamps and awesome dsp too! TFS!! Thanks for the chance to win some blog candy. Very generous of you! Cute candy. Thanks for the chance. Great candy, thank you for the chance to win. 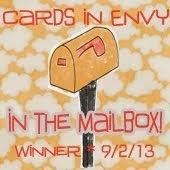 Loved your cards for the OWH bloghop! Thanks for the candy! Thanks for the blog candy offer. Thanks for offering this fabulous blog candy! The soldiers and their families are the real winners when they receive your gorgeous cards!!! Thanks for supporting OWH!!! Thank you for offering blog candy on the OWH hop. Love those dog stamps! Adorable! 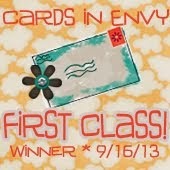 Really enjoyed looking at your cards!